An American cinematographer, born in Ohio on May 11, 1909, an alumnus of University of Southern California’s first batch of film students comes to India on the invite of a fellow USC mate, ML Tandon, in 1935 to see what he can do in the Indian film Industry. Intending to stay in India for about six months to a year, he stays behind for a decade and a half, makes several Tamil films, introduces the great MGR as an actor and directs MS Subbulakshmi’s most celebrated film, Meera (1945) as well as the seminal MGR hit Manthiri Kumari (1950) among others, before returning to USA! The man was Ellis R Dungan. 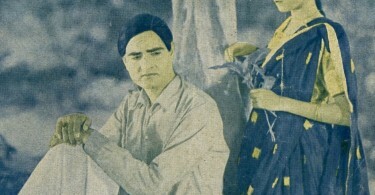 After arriving in India and informally assisting Tandon on the Tamil film Bhakta Nandanar (1935), Dungan’s first film in India was Sathi Leelavathi (1936), based on SS Vasan’s novel. Though reasonably successful in its time, it is chiefly remembered today as the film that introduced MGR to Tamil audiences. It was however with Iru Sagodarargal (1936) that Dungan became a top director in the newly developing Tamil film industry. The film is one of the earliest Tamil films based on a contemporary, social theme as against mythologicals and is a story about the conflicts and values of the joint family system. The film was shot in Bombay at Saroj Movietone and was a key film in Dungan’s attempts to create a more sophisticated cinematic language for Tamil films which otherwise were largely just photographed drama and nothing more. Dungan edited the film, drastically reduced the number of songs, made sure the comedy track was incorporated coherently into the film’s main storyline and also shot sequences outdoors wherever he could. The film was hailed as a major technical achievement in the Tamil cinema making even the Bombay film industry sit up and take notice. Since obviously Dungan did not know Tamil, he hired interpreters who were known as ‘rush directors’ and were well-versed with both English and Tamil. He got the script translated for himself in English by dividing the action on one half of the page and the dialogues on the other. Even as Dungan concentrated on focussing on the actors’ performances, he understanding the importance of the spoken word in Tamil filmdom. He introduced the famed scenarist Elangovan with Ambikapathy (1937), Ponmudi (1949) remains one of poet Bharathidasan’s best known scripts while Manthiri Kumari was DMK leader M Kaurunanidhi’s first major literary contribution to cinema. Ambikapathy was one of the earliest film dealing with historical fiction in Tamil Cinema. Dungan saw the central love story in the film film as a parallel to Romeo and Juliet. So he based some of the film’s sequences on the latter. A highlight of the film is the balcony scene showing the hero, Ambikapathy, climbing up the balcony to meet his beloved, the princess Amaravathi. 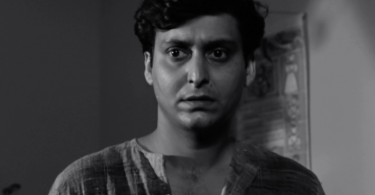 The film was made at the East India studio in Calcutta and the music was composed by the blind singer-composer KC Dey. It ran for a year, one of gthe earliest Tamil films to do so. Meera (1945), is one of Dungan’s most well-known films and his favourite as well. The film starred famed Carnatic musician MS Subbulakshmi, who played Meerabai. Originally a huge Tamil hit, the equally successful Hindi version made a couple of years laterin 1947 had the great Sarojini Naidu introduce Subbulakshmi to a North Indian audience. The Hindi version premiere was attended by Lord and Lady Mountbatten and Jawaharlal Nehru among others. Her rendering of Meera Bhajans in Hindi remained for years the definitive version of Meerabai’s immortal lyrics.The Tamil version is known for some of novelist Kalki’s best work as a lyrics writer, in particular the song Katrinile Varum Geetham. 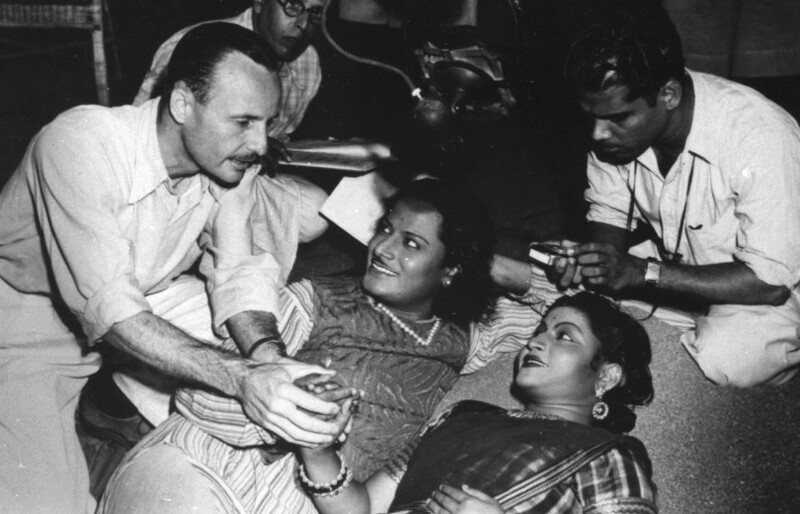 It is said that Dungan and his cinemtographer used a mould of Subbulakshmi’s face and shot it at various angles with different lighting techniques. After viewing the results, they chose the best ones to create Meera’s ethereal, angelic beauty. The scene where a young Meera changes into adulthood through the songs, Nanda Bala En Manala (young Meera) and Murali Mohana (adult Meera) with an interlude piece in between to show the passage of time remains much admired even today as does the sequence showing the spread of the popularity of Meera’s songs across the country. Interestingly, Dungan had directed Subbulakhsmi earlier in Sakuntalai (1940) where she played the title role opposite another stalwart of Carnatic music, GN Balasubramaniam. The songs Premayil Yavum Marandhome and Anandamen Solvene were extremely popular. For many scholars, Sakuntalai even more than Meera, is perhaps his finest contribution to Tamil cinema. During World War II, Dungan made a short – Returning Soldier (1945), a film in Tamil with TS Balaiah in the lead, in support of the war effort. He was the offical photographer for the Madras Government during this period traveling the length and breadth of India shooting photo features, propaganda films and several documentaries for the Indian News Parade. Dungan’s last Tamil film was the MGR box office smash hit Manthiri Kumari. The film, based on the Tamil classic, Kundalakesi, is remembered till date for its flowery dialogues by M Karunanidhi. His barbs against the royal priest were part of the ideology of the Dravidian movement and the DMK Party. While MGR, of course, played the hero, a commandant of the king’s army, the portrayal of the minister’s daughter played by Madhuri Devi is the standout performance in the film. She plays an assertive and confident woman who handles a sword with much dexterity and who kills her wayward husband. Such an independent female character was a rarity in films then. But it has to be said, not to Dungan’s films. His women were bold, proactive and in control of their destinies unlike the typical Tamil film heroine who allowed others to decide it for her. Dungan returned to the States after Manthiri Kumari was 3/4 complete due to personal problems with his wife, Alice. He, however, came back to India for the Indo-US co-production, The Jungle (1952), starring Rod Cameron, Marie Windsor and Caeser Romero, on which he was associate producer,. The film was even dubbed into Tamil as Kaadu (1952)! After this, Dungan continued to revisit India occasionally as 2nd unit photographer for Harry Black (1958) and Tarzan Comes to India (1962) or directing documentaries with an Indian backdrop. He was given a hero’s welcome and felicitated by the Tamil film industry on his last visit to India in 1994. In America, Dungan formed Ellis Dungan Productions and made documentary shorts, industrial films and the like for nearly two decades from 1963 onwards. His last film, Josiah Fox: Architect of the First US Navy (1987), was a tribute to his great, great grandfather, a naval architect, who designed the very first ships of war for the American Navy. Dungan passed away in Wheeling, West Virginia in the United States on December 1, 2001. He had lived there since 1958 once he returned to America. He is the subject of a documentary film, An American in Madras (2013).